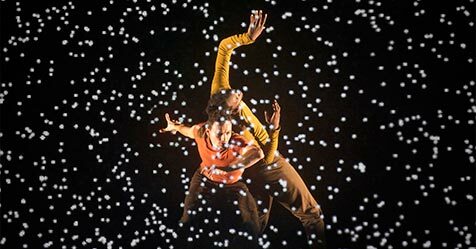 The long-awaited visual-dance spectacle Pixel is arriving as a cherry on top of the 35th Dance Week Festival. This show, a collaboration between Adrien M & Claire B and Mourad Merzouki, was produced by CCN Créteil & Val-de Marne and Käfig Company. The performance, fascinating from an artistic as well as tehnical point of view, was quick to win over the audiences and the critcs around the globe. Pixel is a magical merging of dance styles and interactive video mapping, which will take us to the world of illusion, on the border of virtual and real, true and false, and change the perception of what is possible. Relying on the virtuosity and energy of hip hop, mixing poetry with dreams, it will change our perception of time and space. Dance Week Festival is bringing Pixel to ZKM on June 12th 2018.